The Love 3 is a rare beast now and as far as we know Dario isn’t going to be making any more, but what he will do is refinish one if its looking a bit sad. 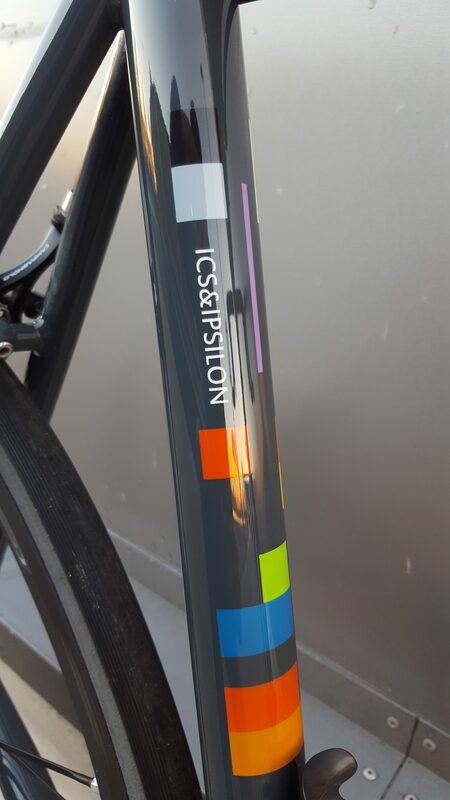 So with this in mind we got about sending this Love 3 back for some tender love and care. 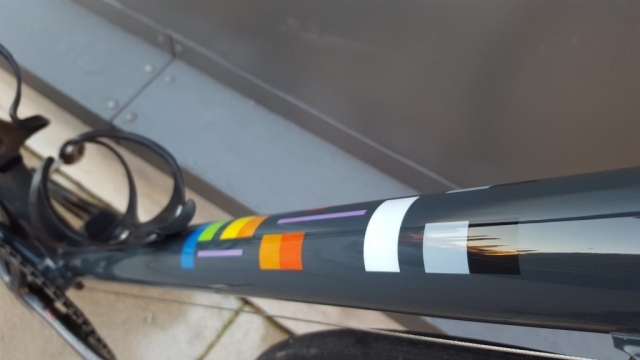 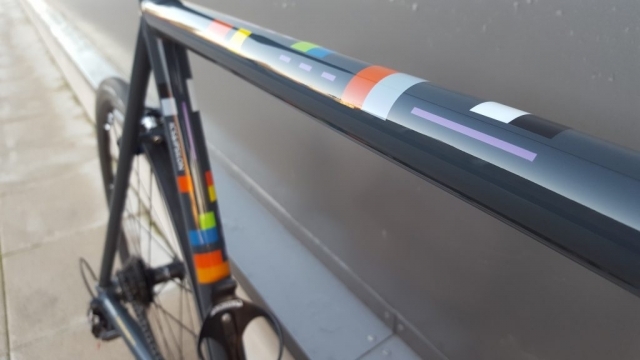 This one of paint job is inspired by a Cold Play album cover and as I’m sure you will all agree it looks ace. 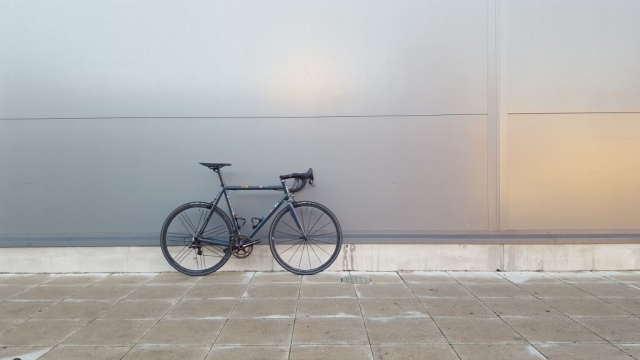 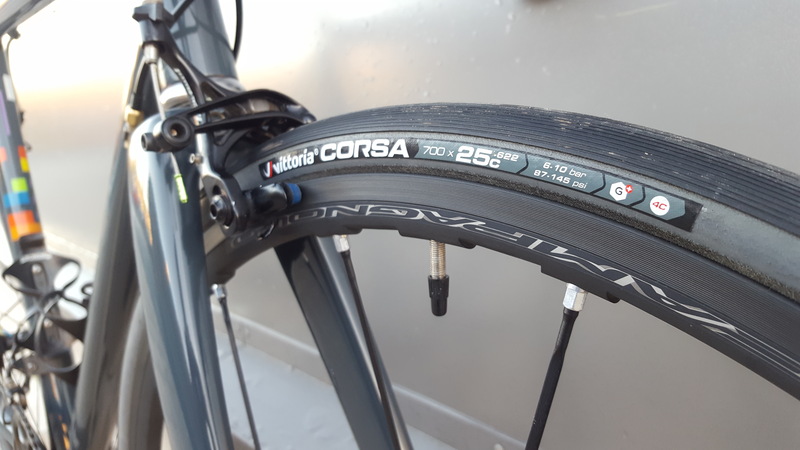 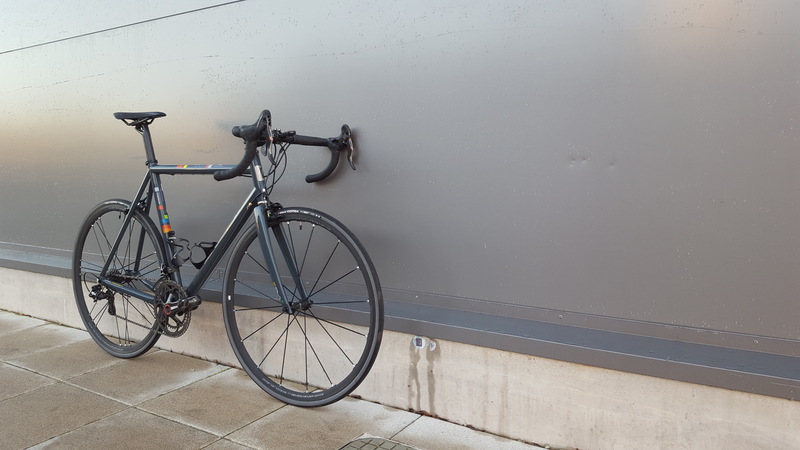 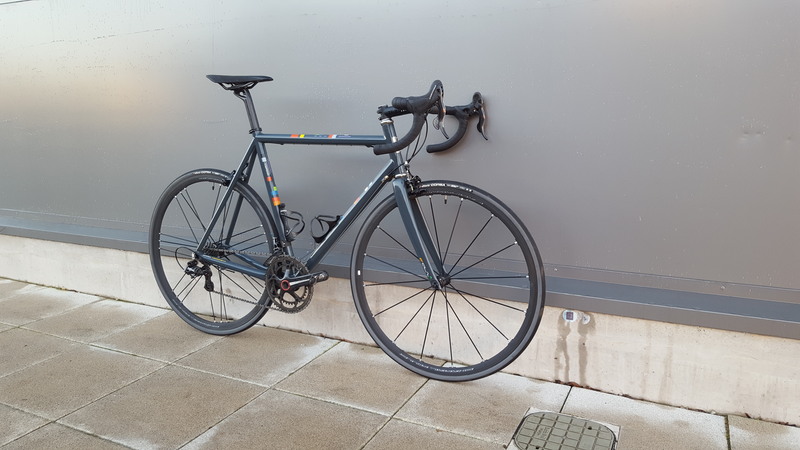 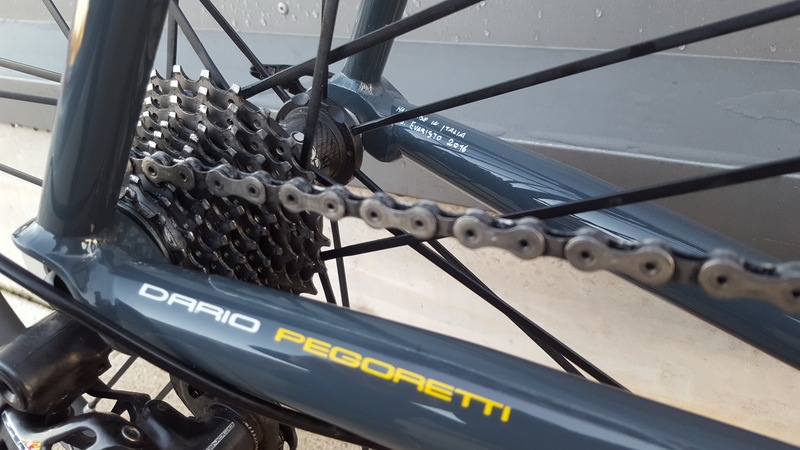 To start with Dario has fitted one of his full carbon Falz 2 forks and to compliment the base colour of this frame we have chosen from some of Italy’s finest kit, the Campag Shamal Mille wheels and Anthracite Vittoria Corsa tyres are a great match. 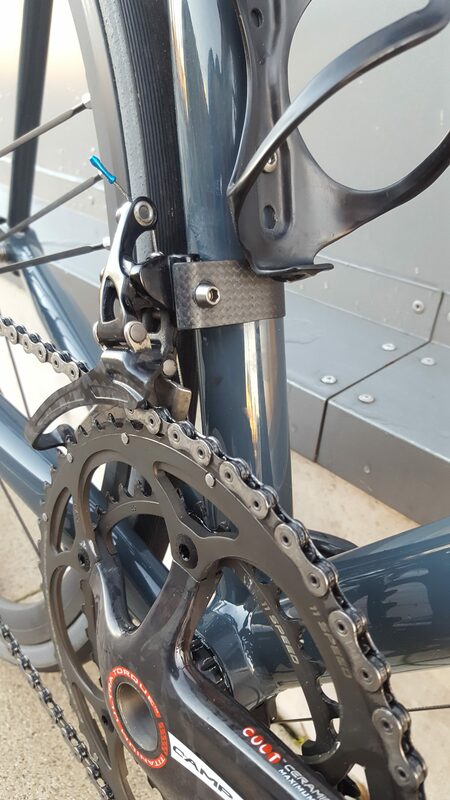 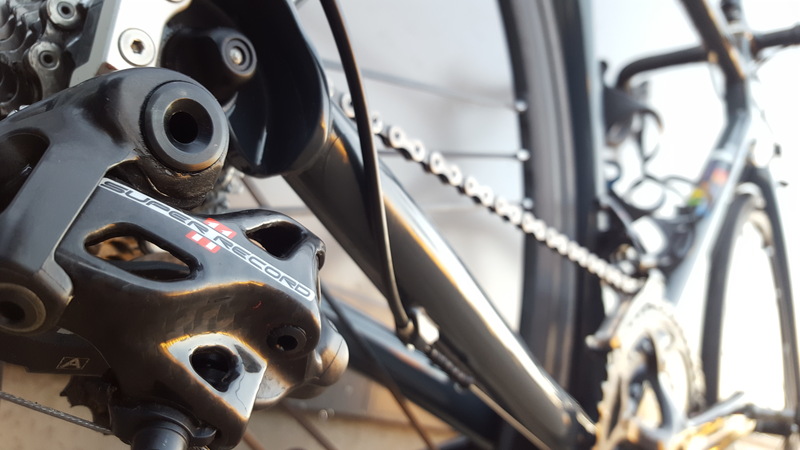 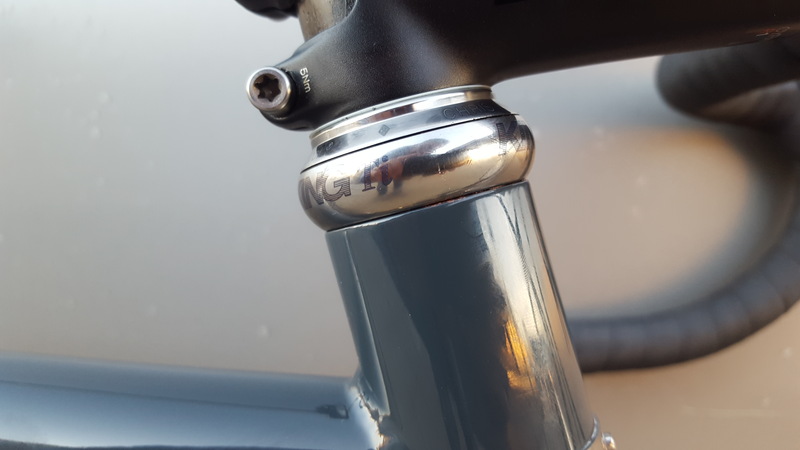 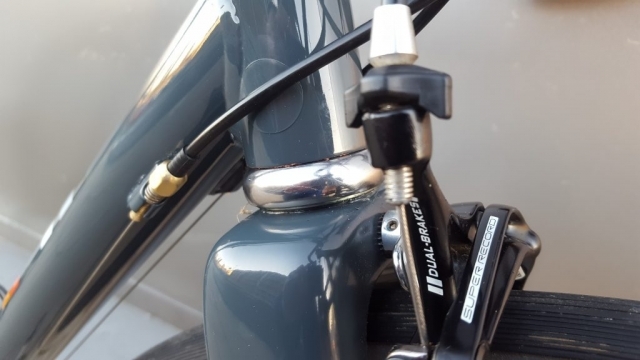 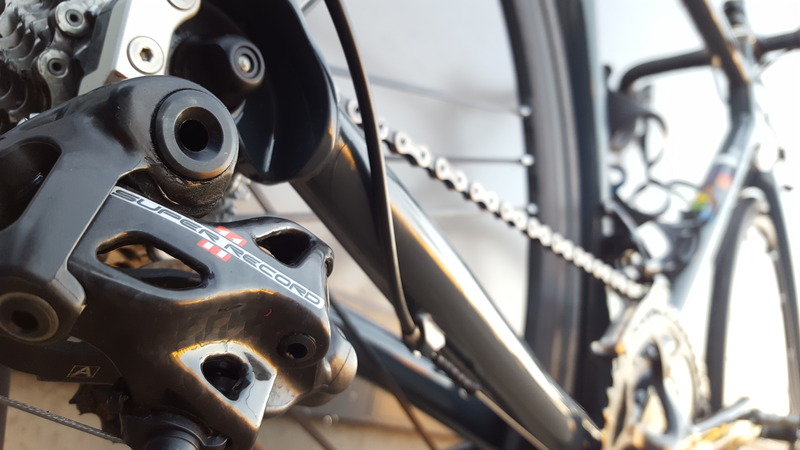 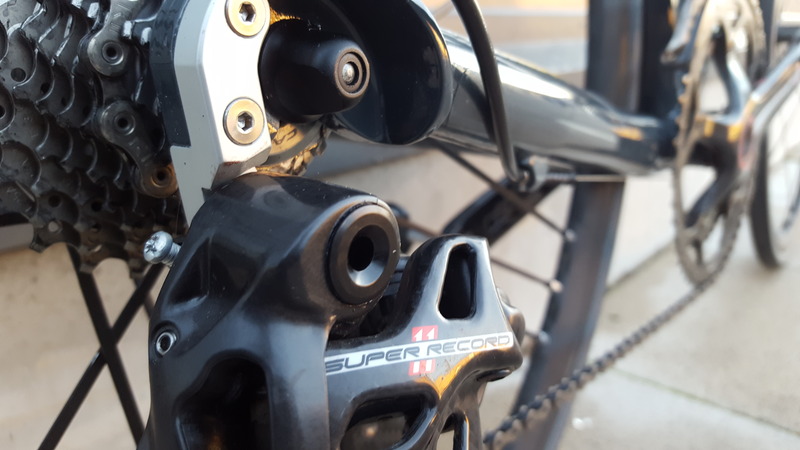 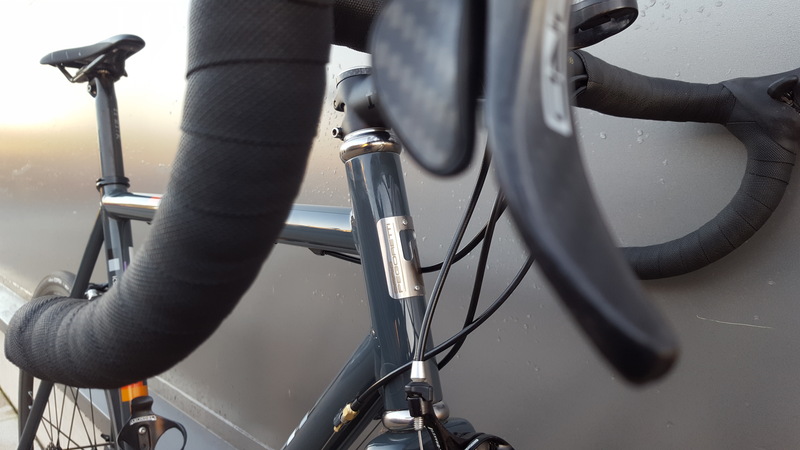 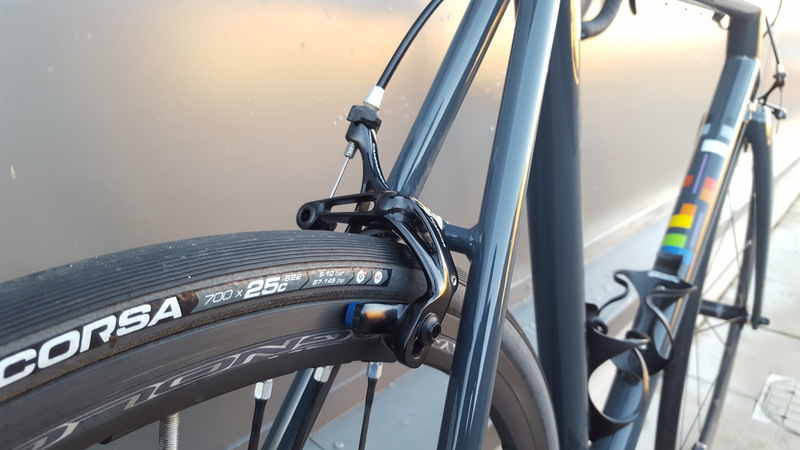 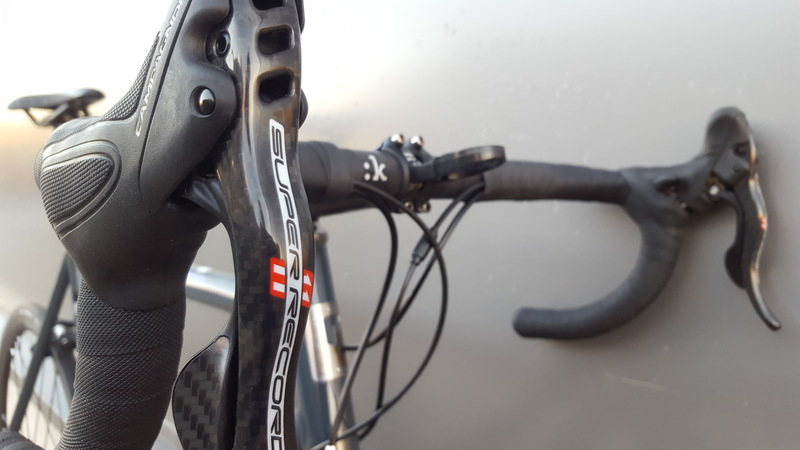 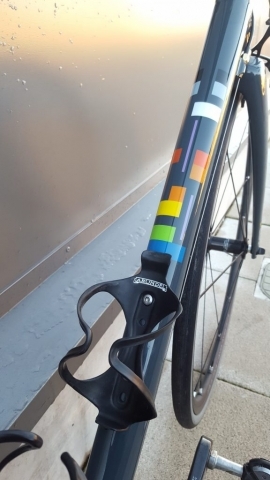 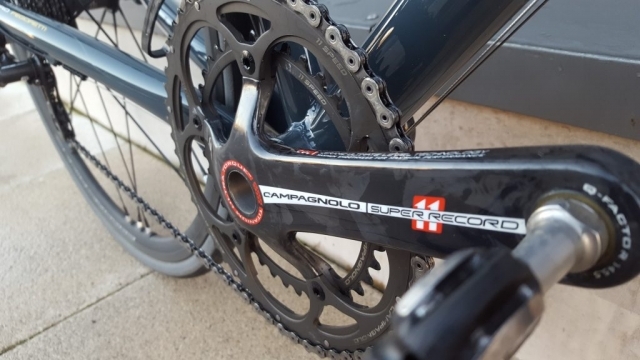 Campagnolo super record group set and Fizik 00 finishing kit is a great partnership and the small details (a Parlee carbon front mech adaptor and Arundel carbon cage) make the bike stand out, but the icing on the cake has to be the Titanium Chris King headset.